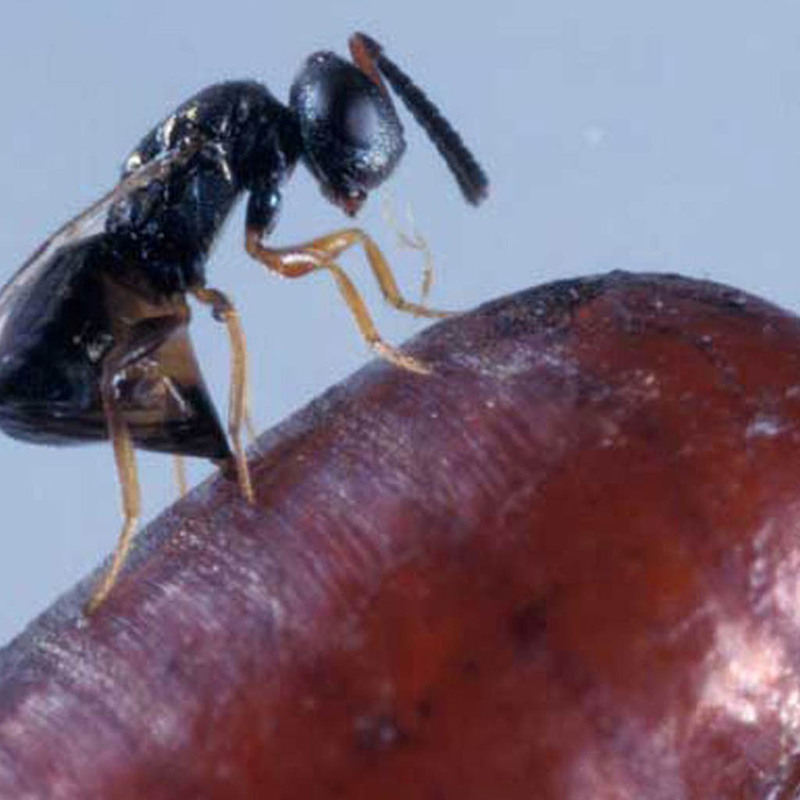 Fly Parasite Mix – Mini-wasps used for prevention, control & mgmt of filth breeding flies. Shipped as pre-parasitized fly pupae with some pine shavings. Mix with more shavings to make distribution easier. The wasps lay eggs in fly pupa, which hatch & consume the host from within; New parasites emerge instead of a new fly. Use in & around stalls, feeding areas, manure, refuse & compost sites, or landfills. Can be put in a simple open container to hang -being sure to protect them from hooves, rain, etc. Start early spring, & release every 3-4 wks. Release more often as fly season progresses.